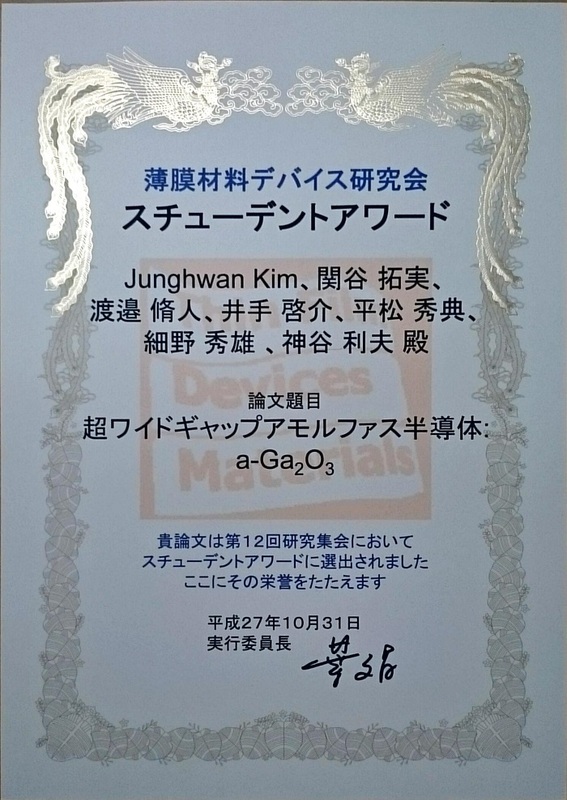 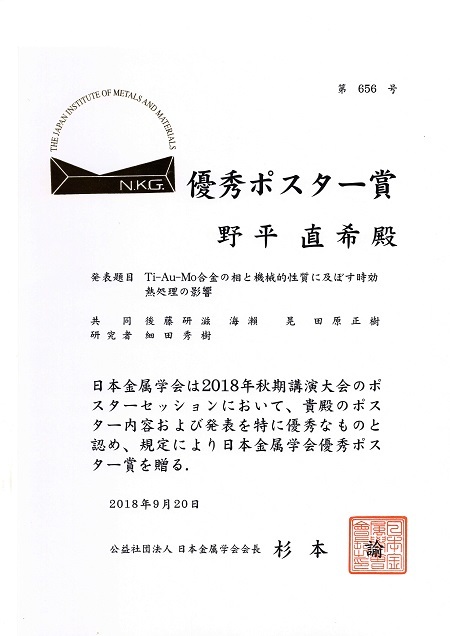 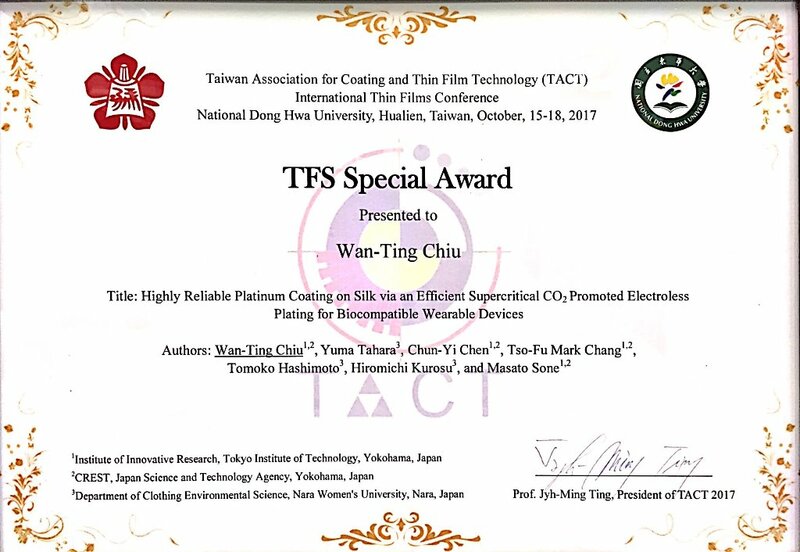 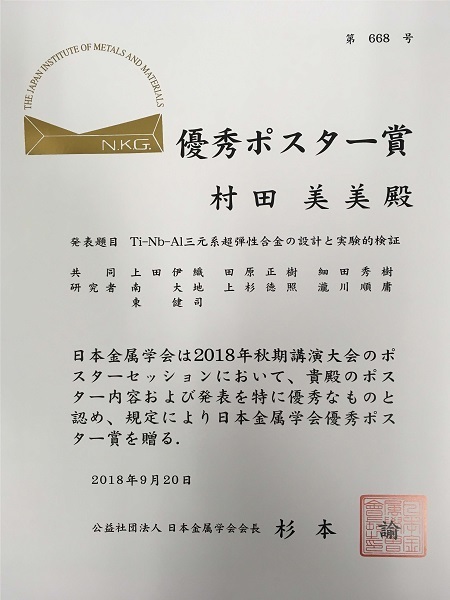 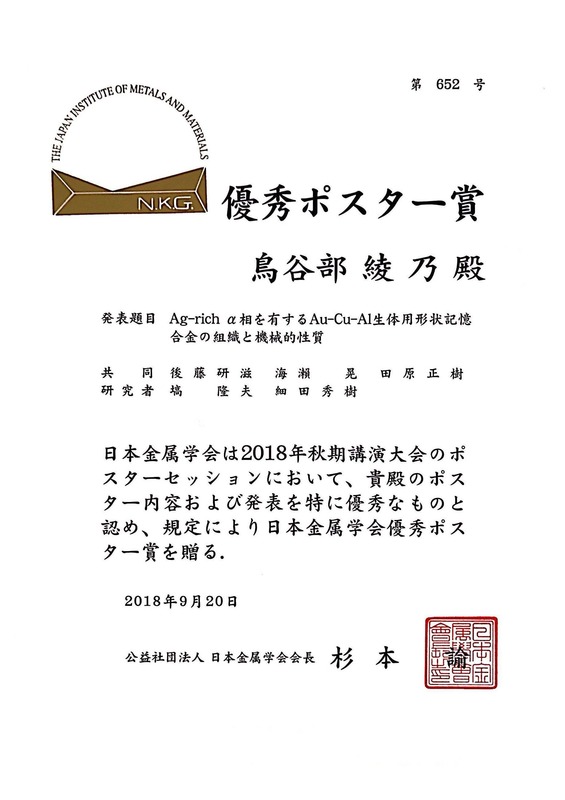 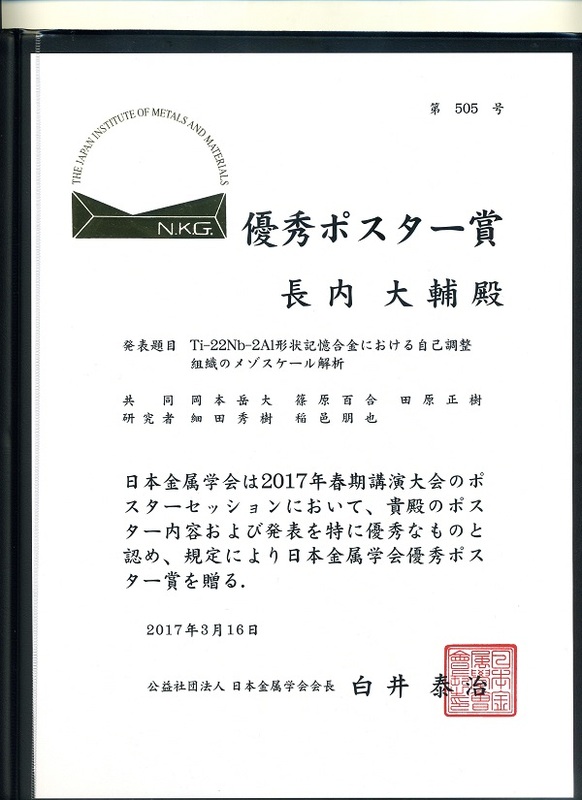 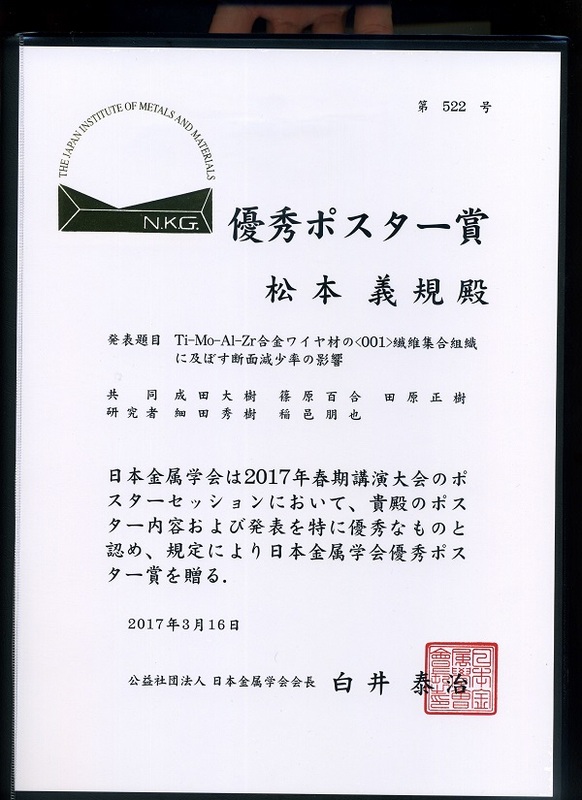 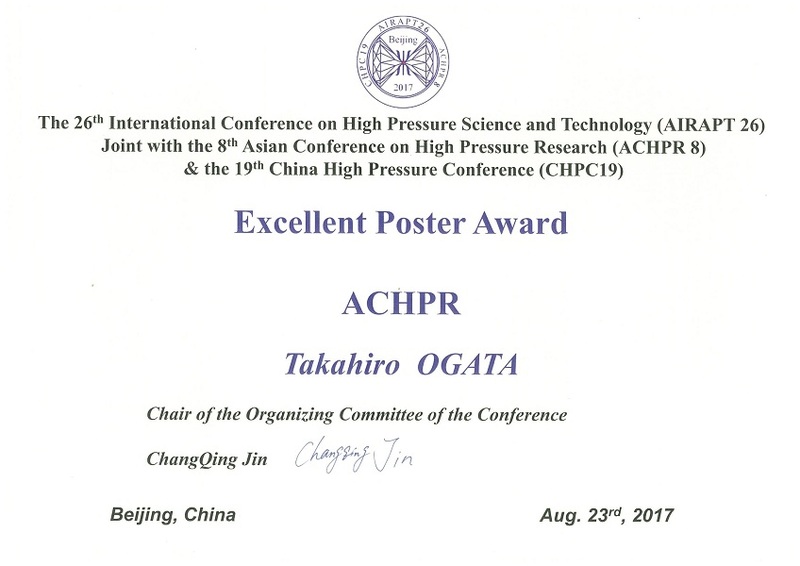 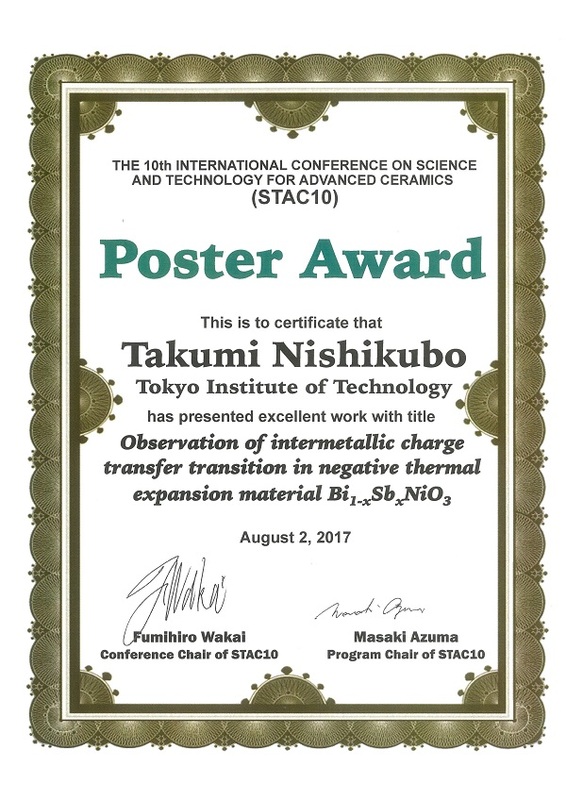 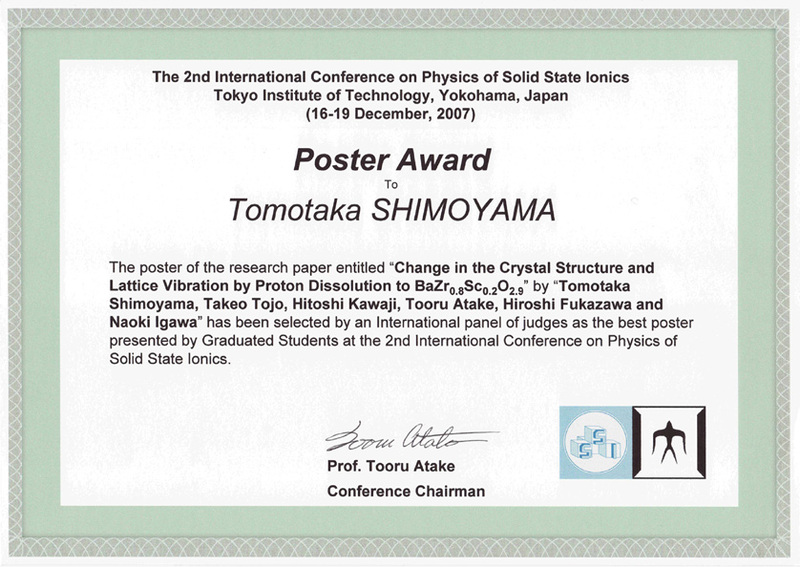 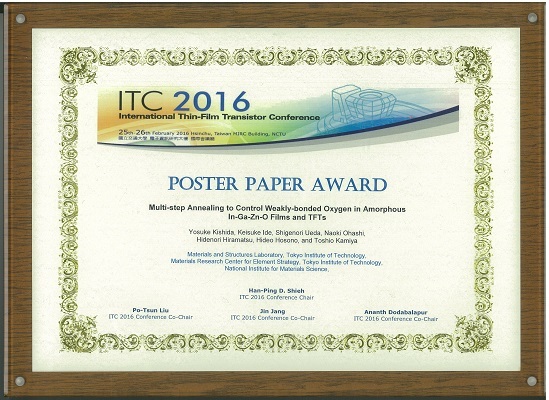 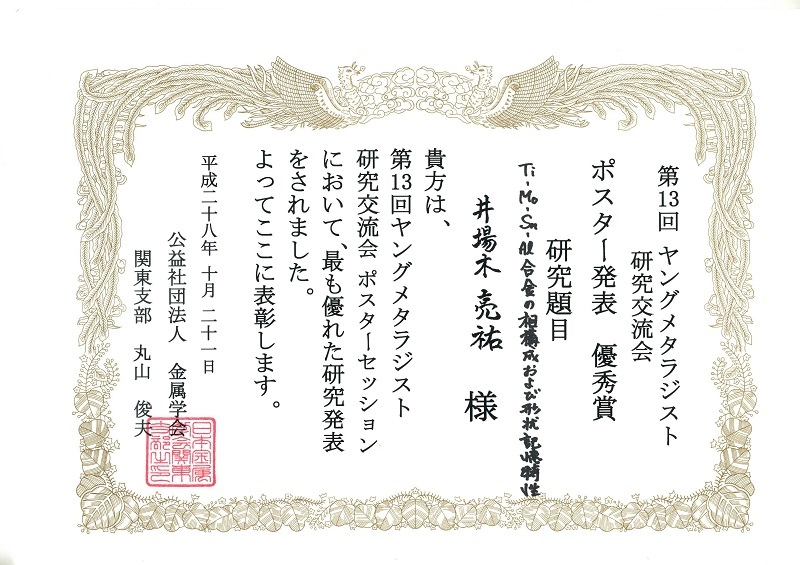 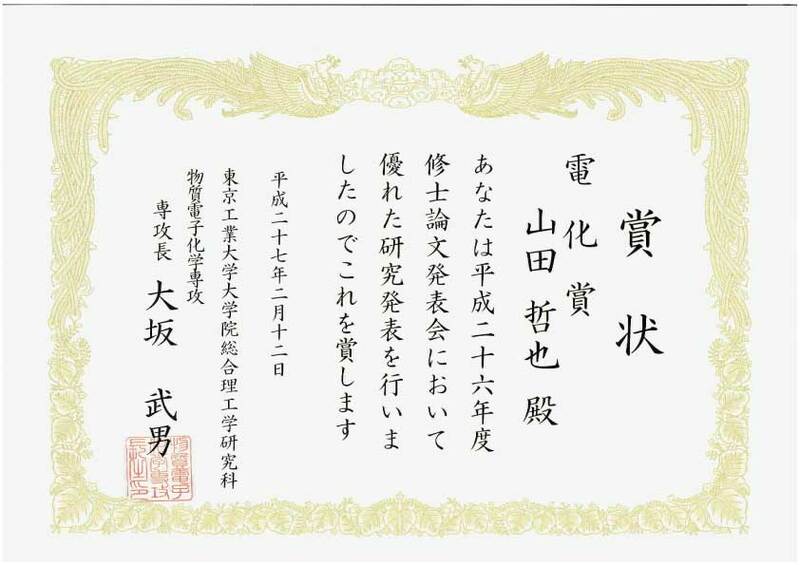 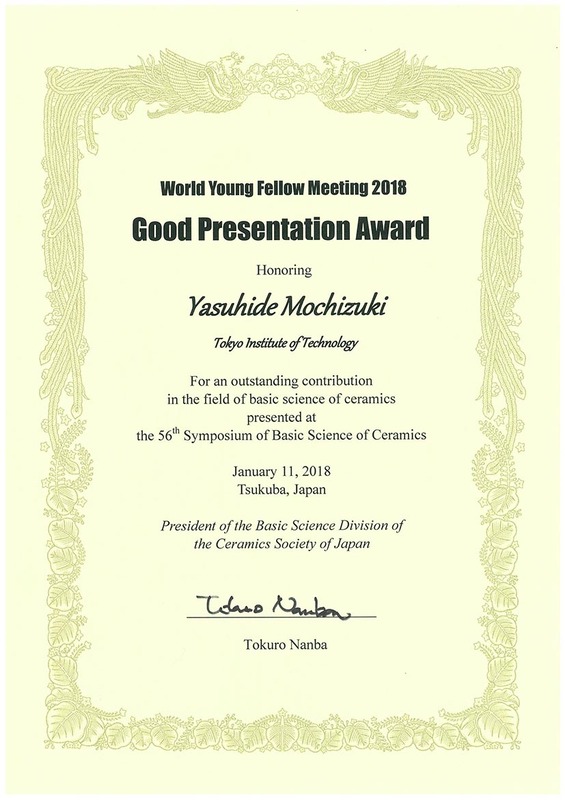 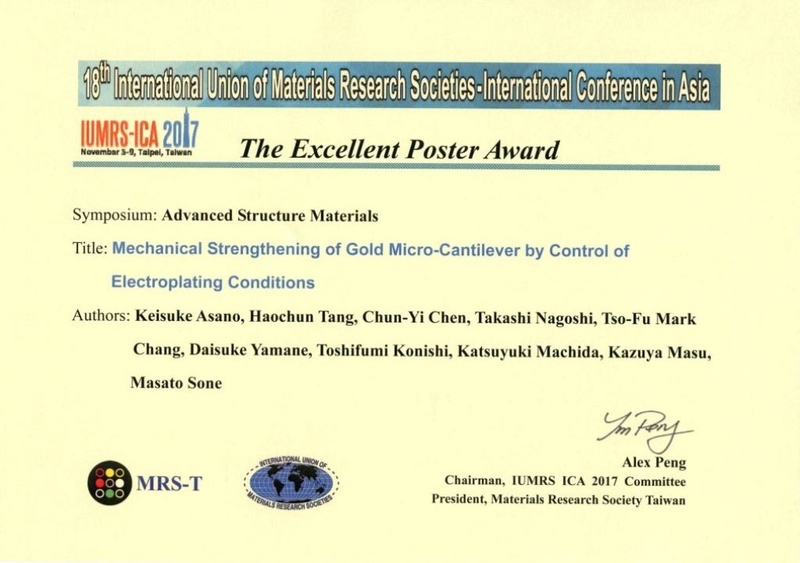 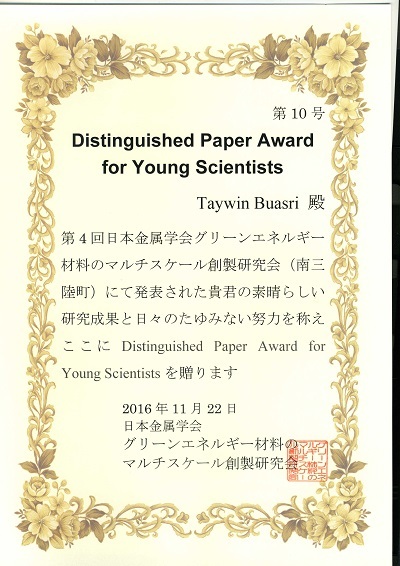 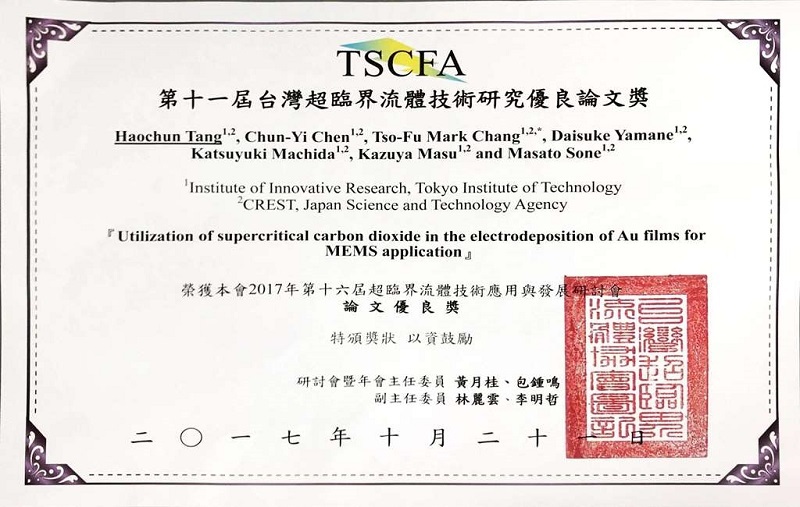 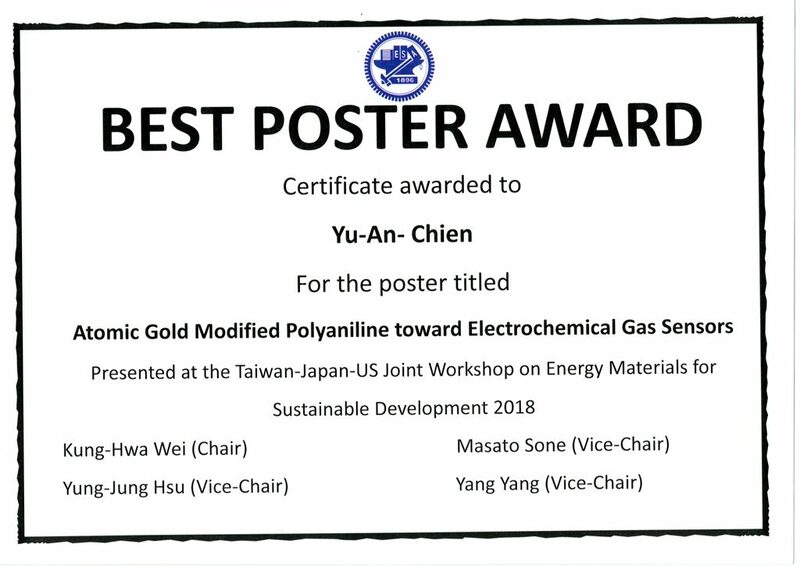 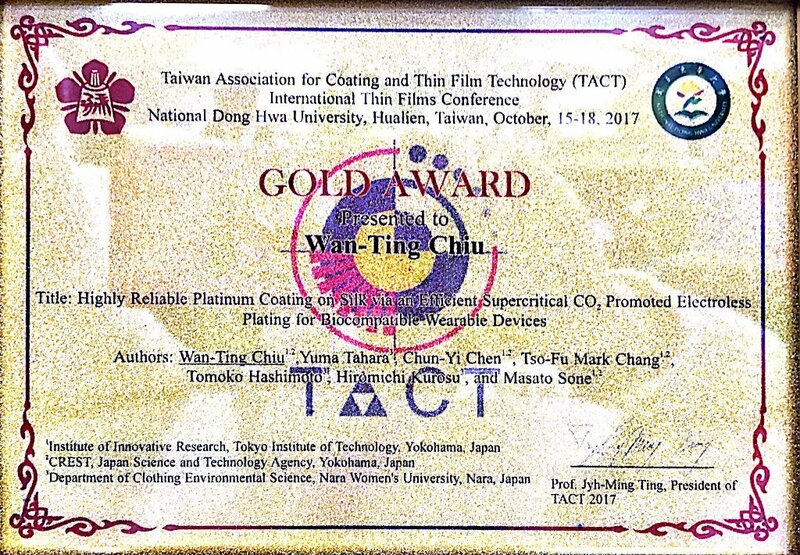 受賞テーマ "Co-Deposition of Ni-P/TiO2 on Silk Textile by Supercritical CO2 Promoted Electroless Co-Deposition for Gas sensor Applications"
学会名 The IUMRS International Conference in Asia 2014. 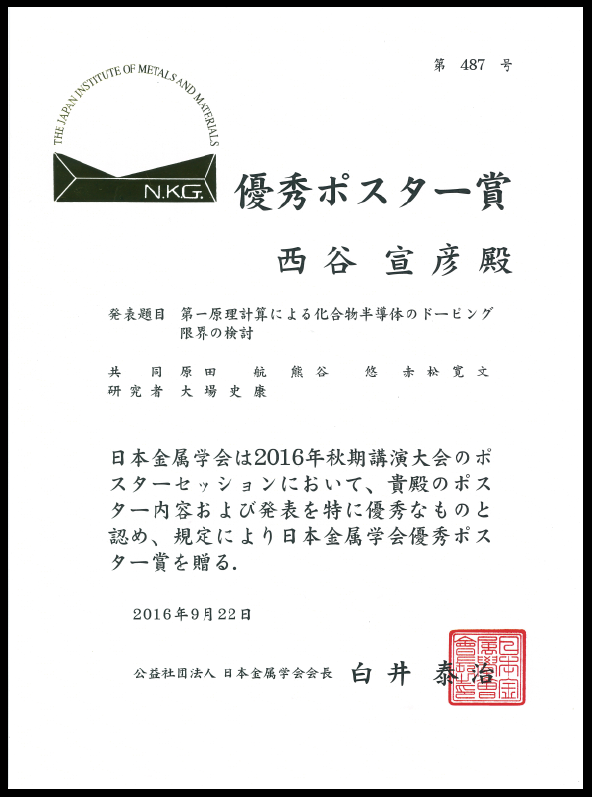 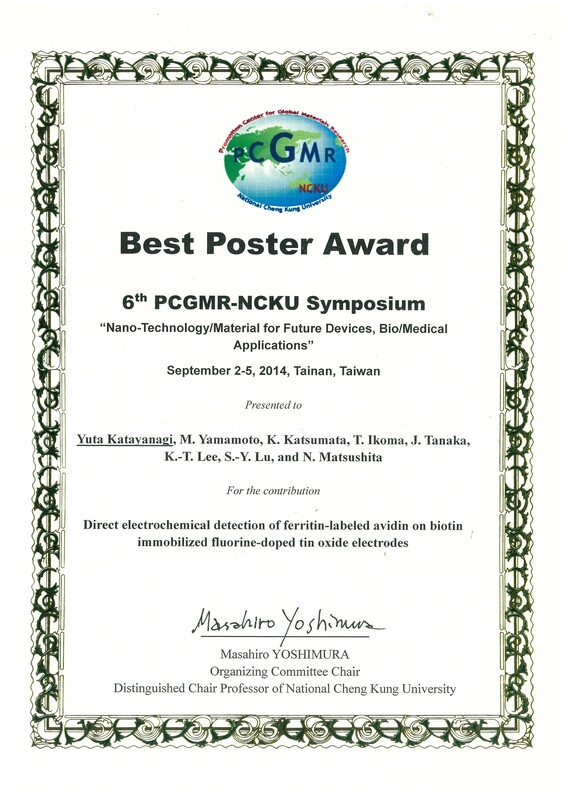 学会名 6th PCGMR/NCKU Symposium on “Nano-Technology/Material for Future Devices”. 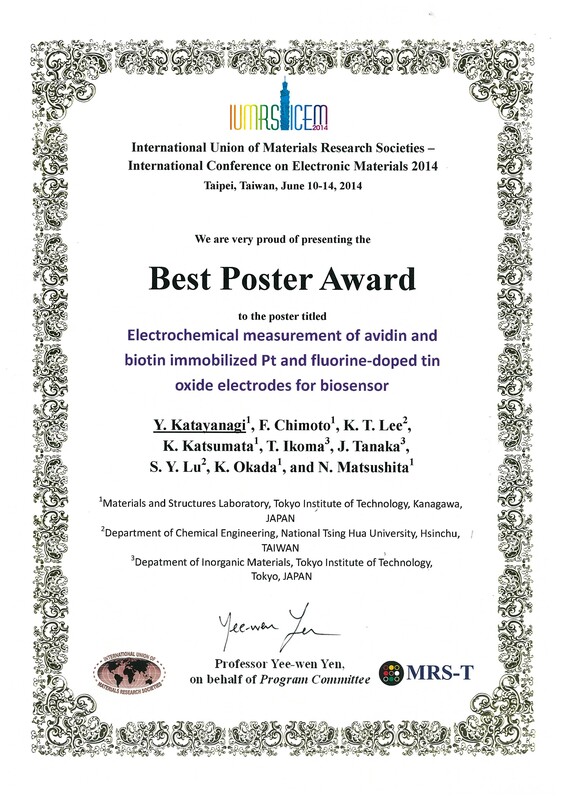 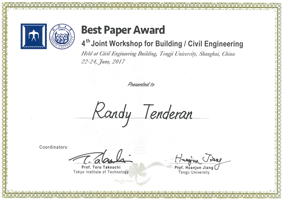 学会名 International Union of Material Research Societies - International Conference on Electronic Materials 2014 (IUMRS-ICEM 2014), Taipei, Taiwan.